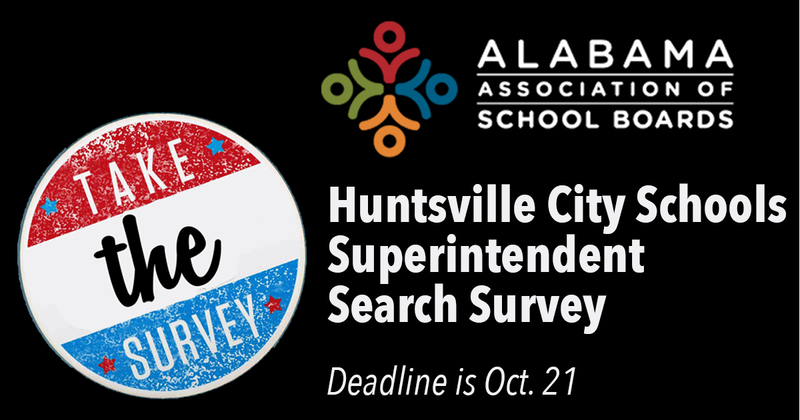 This Huntsville City Schools Superintendent Survey is being conducted by the Alabama Association of School Boards as part of the AASB’s community engagement package of services being done on behalf of the Huntsville City Schools. The deadline is October 21. Take note, questions 3 and 6 require you to rank a number of answers – other than those two questions the survey is fairly straightforward and can be completed in under 10 minutes.